In our commitment to look for products that bring out your real beauty, we put 5 facial and under eye no-crease concealers to the test and assessed them on the coverage they provide, ability to stay true to their promise of being creaseless, and their friendliness on the budget until we finally picked what we feel is the best non-creasing concealer. The Stroke of Light Eye Brightener by bareMinerals instantly brightens the eye area and diffuses shadows. It evens helps reduce the appearance of circles and lines with continued use. Great for all skin types, the Cover Everything Concealer by E.L.F. offers a natural-looking coverage that can last the whole day. It has a creamy formula that makes blending a breeze. If full coverage is what you want, then go for Tarte’s Maracuja Creaseless Concealer. It is a vegan product and the best part is it’s also waterproof. The Total Coverage Concealer by Jolie is infused with vitamins A and E to nourish the skin while protecting it from free radicals. It is very lightweight and boasts of its no crease formula. Ideal for people with tan skin tones, this best creaseless concealer provides sheer to medium coverage for that well-rested look. This product can even be used for highlighting purposes. In terms of packaging, this concealer comes in a cylindrical tube with a wand applicator attached on the lid. It has a soft, sponge tip which makes it usable on the delicate under eyes. Moisturizing, this product has a thin yet creamy texture the goes on smoothly without tugging or pulling under the eye area. It really works well for those dry eyes and doesn’t have a heavy feel. This product is very easy to build until you reach your desired level of coverage. It is pigmented enough that just a few dots are needed for each application so a tube will really last you awhile. Since it is formulated without chemicals, this product is safe for everyone and won’t cause any breakouts. It can also last the whole day without any issues with creasing. #2 Cover Everything Concealer by e.l.f. This best concealer that doesn't crease has a creamy and blendable formula to cover dark circles and imperfections effortlessly. It is great for all skin types and has buildable coverage. This product comes in a sleek white compact with a transparent flip open cover. The name and the shade code are mentioned at the back and shuts tight which adds to its sturdiness. Available in 4 different shades, this concealer is slightly thick so it can get a bit oily on those humid days. Anyway, this particular shade has some peach undertones to it that cover up and neutralize any darkness and discolorations. It offers a crease free finish and doesn’t accentuate any dry areas. In terms of longevity, we started to notice some fading when we reached the 5-hour mark. But that’s no big deal, because it is completely buildable and won’t end up making you look cakey. Overall, we really love this product. The color stays true to its name, and considering its price, is really comparable to other high-end products. If you are in search of a vegan-friendly product, you have to try this best creaseless under eye concealer. It is even Allure’s Reader’s Choice and Best of Beauty Award Winner in 2015. Enriched with maracuja oil, this product helps moisturize, tone, and improve the skin’s texture. Blendable, this liquid makeup leaves skin with a bright, luminous, and dewy finish. This product is packaged in a squeeze-out tube that’s very easy to use. It has a fairly thick consistency (comparable to a balm) yet blends out easily and is highly-pigmented. Due to its thick consistency, it is advised to blend this product out with a brush or your fingertips. Avoid using a sponge since it tends to wipe away the product and thus, leads to wastage. True to its name, this concealer really doesn’t crease which is because of its tacky feel once applied. It offers long wear but to be on the safe side, finishing it off with a powder is a must. We really love this product since it is very hydrating. It also has long wear, and its salmon tone makes correcting so easy and makes your end look more natural and fresher. You must try this best no crease concealer for the benefits of a serum and makeup in one. Aside from brightening the undereye area instantly, it evens out skin tone with continued use. Great for those with drier skin types, this product has a hydrating feel and easily glides onto the skin. But since it has so much “slip” to it, it is difficult to keep it only on areas where it’s needed. This creaseless concealer is best applied and blended out using your fingertips. It blends in easily with the skin it looks unnoticeable, and all that has to be done with very minimal effort. We find this more like a hydrating serum as it really adds up youthfulness in the under eye. It provides long wear and at the end of the day, you’ll look as if you had a decent amount of sleep. We think this product is perfect for those who want to look pretty without applying a ton of makeup. A great pick-me-up product, this is perfect for those “no makeup makeup” days. This best crease-free concealer has a creamy formula that helps moisturize and brighten the skin. It is infused with vitamins A and E to nourish skin and defend it from free radical damage. Blendable and buildable, this product effectively covers imperfections like blemishes and darkness in the under eye area. It feels almost nothing on the skin while providing full coverage. Highly-pigmented, this concealer goes on easily on the skin without sinking into dry skin or fine lines. It is best applied using your fingertips and also boasts of its crease-resistant formula. It is ideal for all skin types, and a customer with sensitive skin even said she had no problems while using the product. This concealer is not cheap but is still comparable to high-end brands. Great for mature skin, this product effectively covers up brown and age spots. It can also be used as a highlighter depending on your skin tone and has wear that can last the whole day. Don’t you wish there’s something you could do to keep your under eye concealers from creasing? Luckily there are, and here are ways on how to do just that. Just remember to have realistic expectations, because all we can do is to minimize it and not to prevent it completely. Applying powder helps set the look and helps minimize the chances of creasing. Make sure to have a light hand as it is easy to screw things up especially with under eye concealers. Focus more on the triangle area at the eye’s inner corners as it is more prone to darkness. There is also less creasing on that part since the skin is smoother. The amount of creasing depends on your concealer’s texture. Dry concealers are more prone to creasing since they aren’t very flexible and tend to cling to your skin folds. Make sure though it gets completely absorbed by the skin before wearing concealer. You can do this by applying eye cream first, then wear makeup, and finish off with under eye concealer. When you go too near the bottom lashes, that’s where the product begins to crease. However, if you get too close by accident, you can fix it by swiping a cotton swab dipped in a salve or a makeup remover. This breaks the product up and removes any excess concealer. Use a small, pointed concealer brush on the under eye area where you see shadows, then use your finger to blend it out. This will help in melting the concealer and allow a more natural finish. This makes the concealer last all day by absorbing excess oil and leaving nothing but the pigment behind. An easier version involves having a setting brush loaded with setting powder ready. Next is to tap it lightly and quickly on your under eye where you have applied concealer. Wait for around 3 minutes for the powder to set. Finally, lightly dust off any excess powder that didn’t set until you achieve a smooth and natural look. Go easy on the powder and don’t go crazy over the “cook and bake” trend. This method isn’t wrong, but it must fit a typical woman’s lifestyle who isn’t going to be under the spotlight all day. We’ve all experienced our under eye concealers creasing on us at one point. Luckily, with some tips and tricks and the right products, we can now make them crease free. 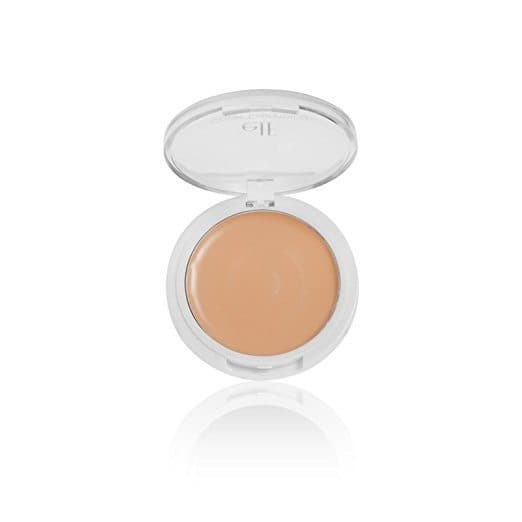 The Stroke of Light Eye Brightener by BareMinerals is our top pick for this round. It brightens and illuminates the under eye area in an instant to visibly reduce dark circles and fine lines. This product offers sheer to medium coverage and promises a no crease finish. We just find it a bit expensive but we guarantee you this one’s worth the investment. We have now chosen the best non-creasing concealer. This product is definitely worth checking out to achieve that flawless finish you’ve always dreamed of.